[T]aliban militants stormed an army public school in the northern city of Peshawar, killing over 100, including many young students. It is believed up to 10 militants took part in the attack, dressed as soldiers to first infiltrate the school’s grounds before beginning the attack. A spokesman for the company, Unocal, said the Taleban were expected to spend several days at the company’s headquarters in Sugarland, Texas. Unocal, now merged with Chevron, had attempted to build a pipeline across Afghanistan in cooperation with the Taliban and with the expressed backing of the US government – then operating under the Clinton administration. The Unocal group has one significant attraction for the Taliban – it has American government backing. At the end of their stay last week, the Afghan visitors were invited to Washington to meet government officials. The US government, which in the past has branded the Taliban’s policies against women and children “despicable”, appears anxious to please the fundamentalists to clinch the lucrative pipeline contract. The Taliban is likely to have been impressed by the American government’s interest as it is anxious to win international recognition. So far, it has been recognised only by the UAE, Saudi Arabia and Pakistan. 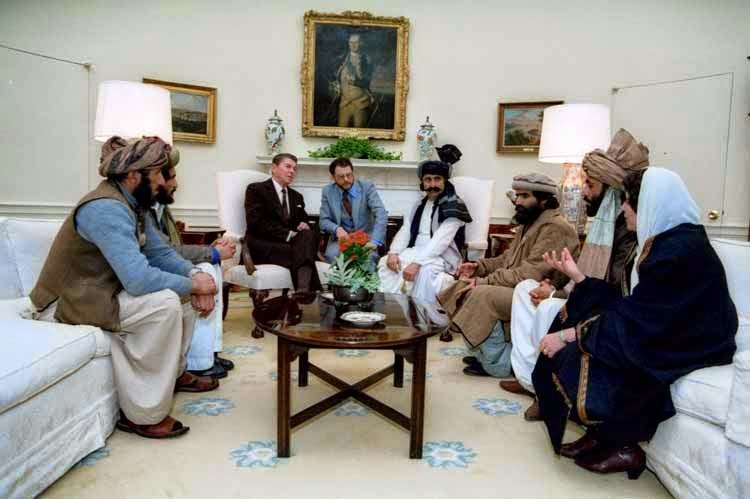 It is clear that to the West, as they were during the proxy war against the Soviets, and during attempts to forge an oil pipeline across Afghan territory, the Taliban remain a tool, not an ally – to be used and abused whenever and however necessary to advance Wall Street and Washington’s agenda – a self-serving Machiavellian agenda clearly devoid of principles. 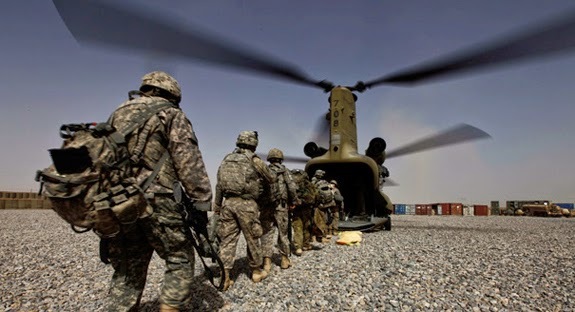 This can be seen in play, even now as the Taliban serve as a proxy force to torment the West’s political enemies in Pakistan with and serve as a perpetual justification for military intervention in neighboring Afghanistan. Could the longest war in American history be owed in part to the fact that the US is “accidentally” funding their enemy 1 billion USD a year? But the narrative of the “accidental” funding of Taliban militants in Afghanistan is betrayed when examining their counterparts in Pakistan and their source of funding. While the US funds roughly a billion USD a year to the Taliban in Afghanistan “accidentally,” their allies in Riyadh, Saudi Arabia are confirmed to be funding the Taliban in Pakistan. Just as in Libya and Syria where the US and its Persian Gulf allies funded terrorist fronts in bids to overthrow each nation’s respective governments, this unholy alliance is working in Pakistan to create a militant front with which to menace political groups in Islamabad and reorder the country to reflect and serve their collective interests. And just as in Syria now, where the US feigns to be locked in battle with terrorists of their own creation, the fact that the US is funding their own enemy billions of dollars while allegedly fighting them in Afghanistan creates a perpetual conflict justifying their continued intervention in the region – overtly and covertly. When a terrorist attack is carried out in Pakistan by the “Taliban,” it must then be looked at through this lens of global geopolitical reality. Attempts by the Western media to reduce this recent attack to mere “extremism,” preying on global audiences emotionally, provides impunity for the state-sponsors of the Taliban – those funding, arming, and directing their operations across the region, and then benefiting from their horrific consequences. It appears, just as in Libya, Syria, and Iraq, the West and its allies are waging a proxy war in Pakistan as well. Attempts to exploit the tragedy in Peshawar compound this insidious agenda. Those across Pakistan’s political landscape must understand that their is no line these foreign interests are unwilling to cross in achieving their agenda – be it a line crossed at a perceived ally’s expense, or a perceived enemy’s expense. Originally published at Land Destroyer.Tony Cartalucci is a geopolitical researcher and writer based in Bangkok, Thailand. His work aims at covering world events from a Southeast Asian perspective as well as promoting self-sufficiency as one of the keys to true freedom. He writes for New Eastern Outlook and other publications. His website(s): Land Destroyer Report. Posted in CALLOUS CONTEMPT, CIA + GOVT CRIMES, COVERT OPS & INTELLIGENCE, FEATURED, History, IMPERIALISM, Pakistan, WAR & CONFLICT.